Curling Rock stud earrings. 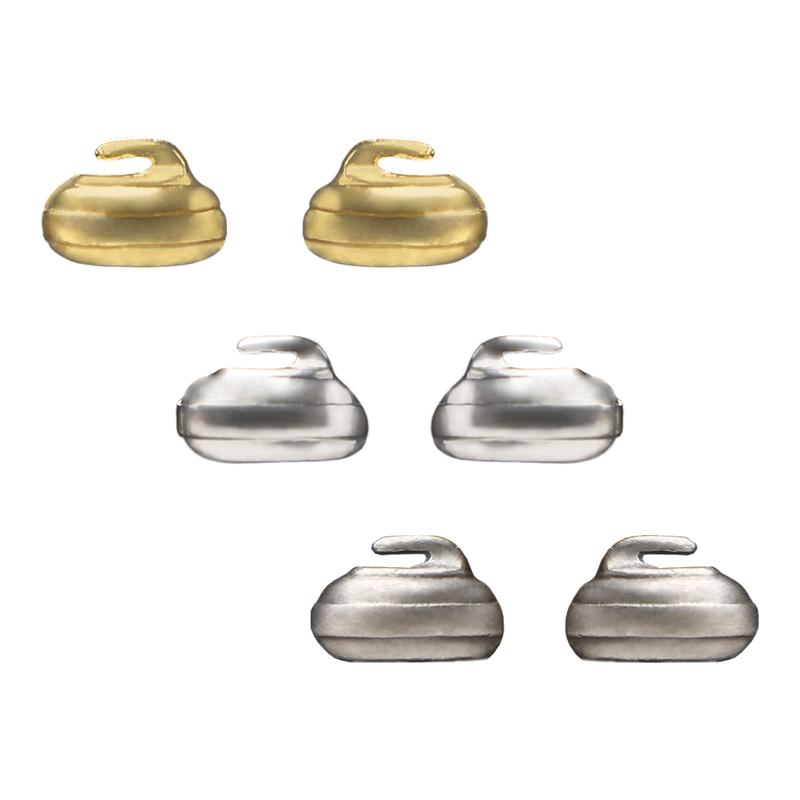 Accent your curling outfit with a pair of our curling stone earrings. Available in gold, silver or pewter.